A cosmopolitan dining scene stretching for blocks outside your door. Fresh local produce from the farmers’ market. The exotic flavours of Lonsdale Quay’s shops. 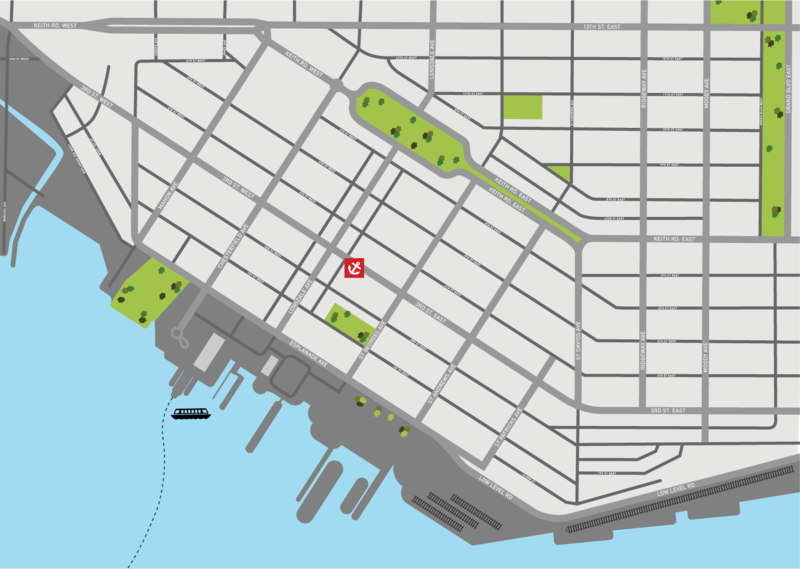 A 12-minute SeaBus commute to downtown Vancouver. Let the adventure begin. Step out your front door and into a mecca of cafés, bistros, specialty grocers, florists, yoga studios, and bike shops owned and operated by people who love Lonsdale as much as you do. They’re a big part of what makes this neighbourhood so warm, welcoming, and special. Click numbers on neighbourhood map for details.